Circa 1951-1959. 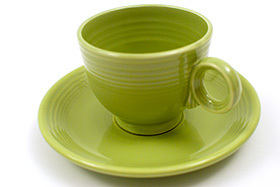 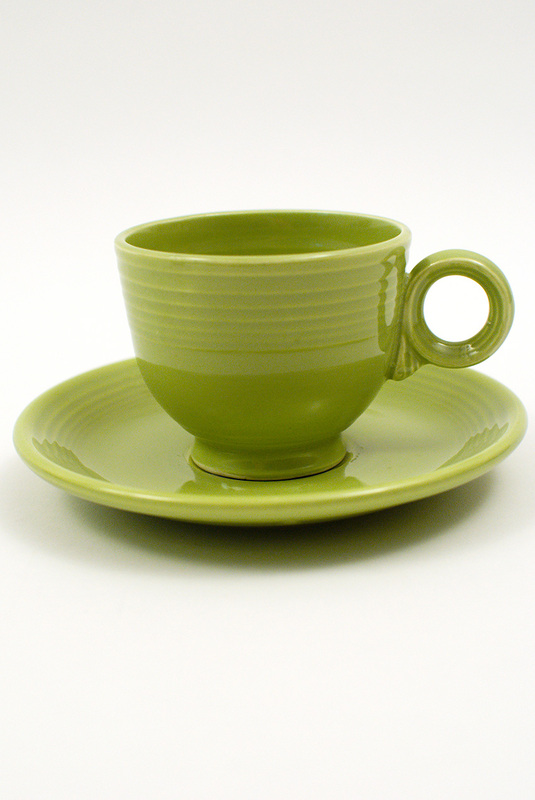 The simple teacup and saucer set represents all the classic elements of the vintage Fiesta pottery line— from its tell-tale ring handle to multiple bands of concentric rings that decorate the surface in abundance. 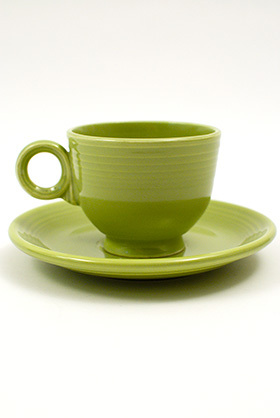 Once of the cornerstones of a tablewares line, the teacup and sauce was not overlooked at Homer Laughlin. 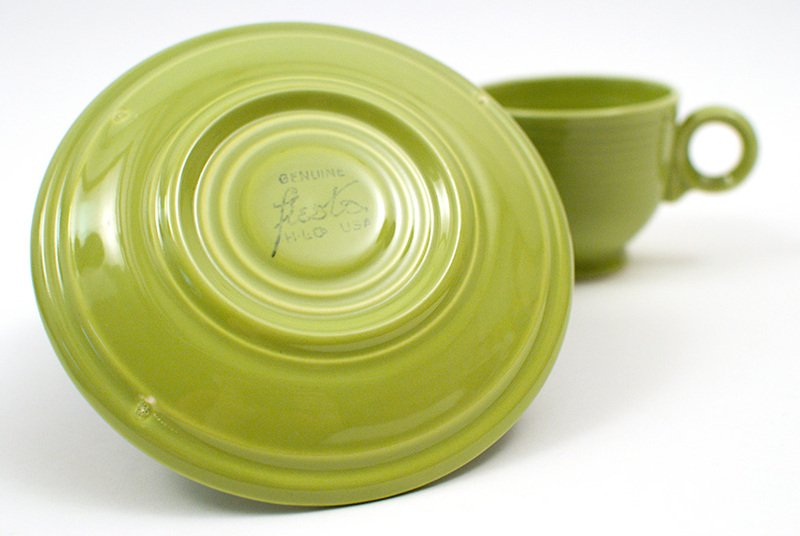 The great ring handle, the abundance of concentric rings, sturdy and usable materials and superior glazes are reasons enough for Fiesta 's immortal popularity. 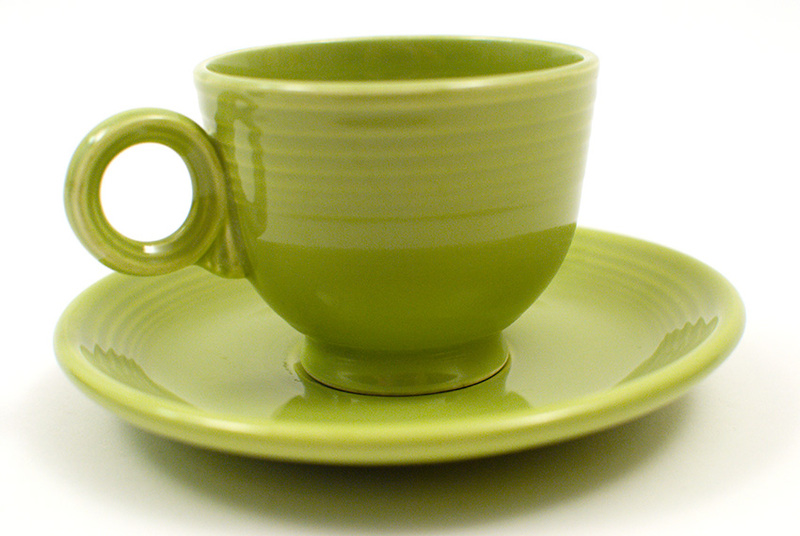 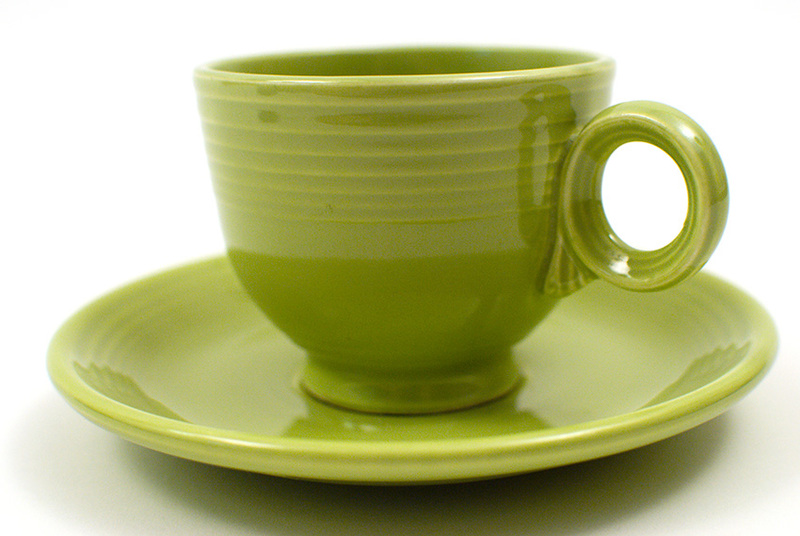 This example in the 50s Vintage Fiesta Chartreuse glaze is in perfect condition, without damage or flaws, nicely marked on the bottom "GENUINE fiesta HLC USA".